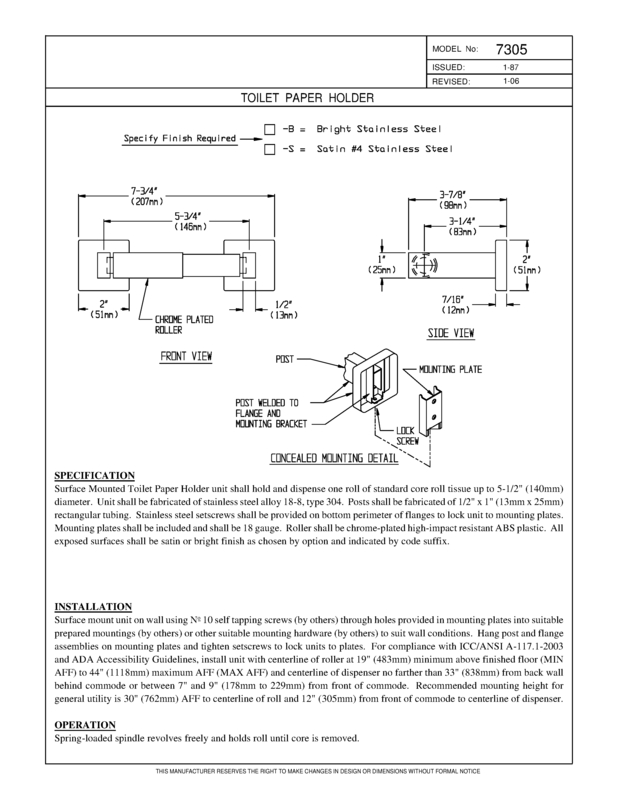 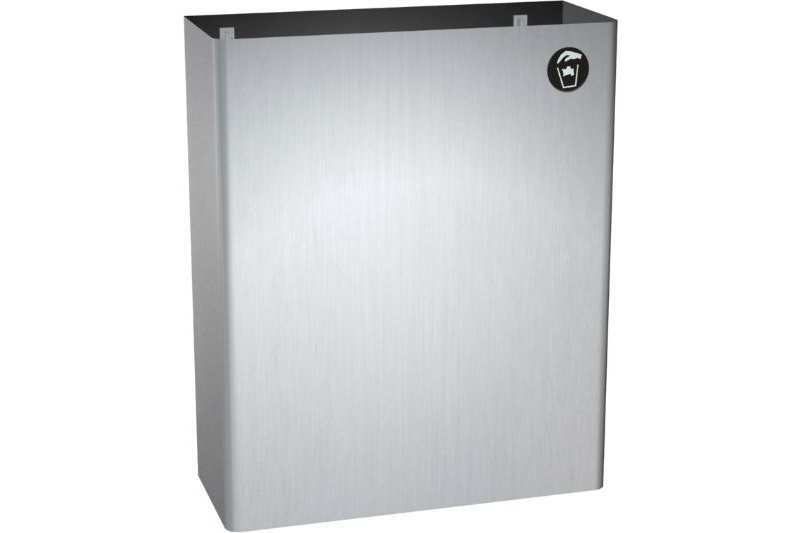 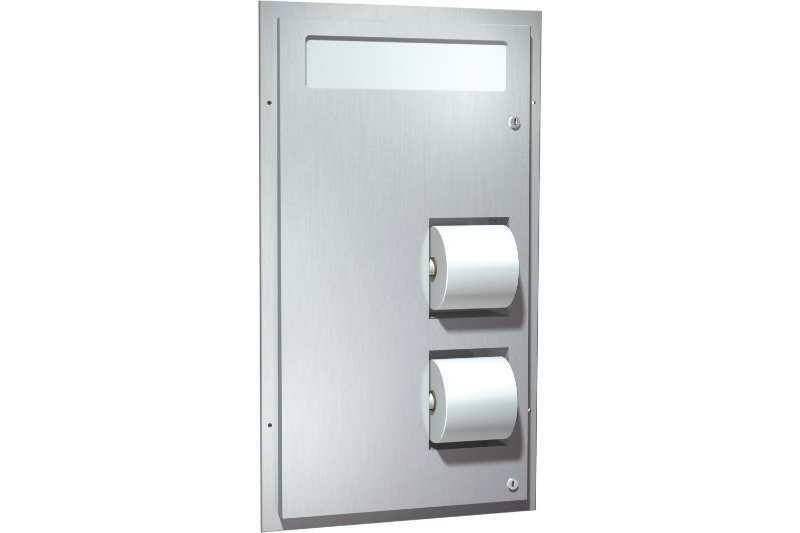 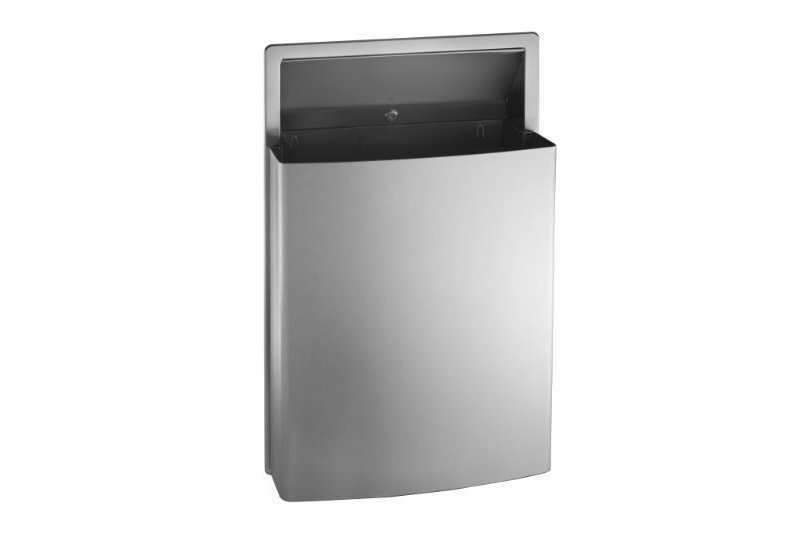 Surface mounted single roll toilet tissue dispenser. 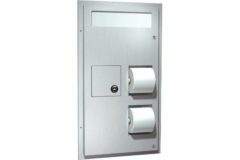 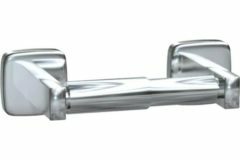 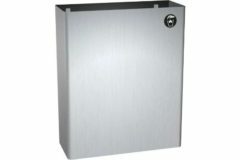 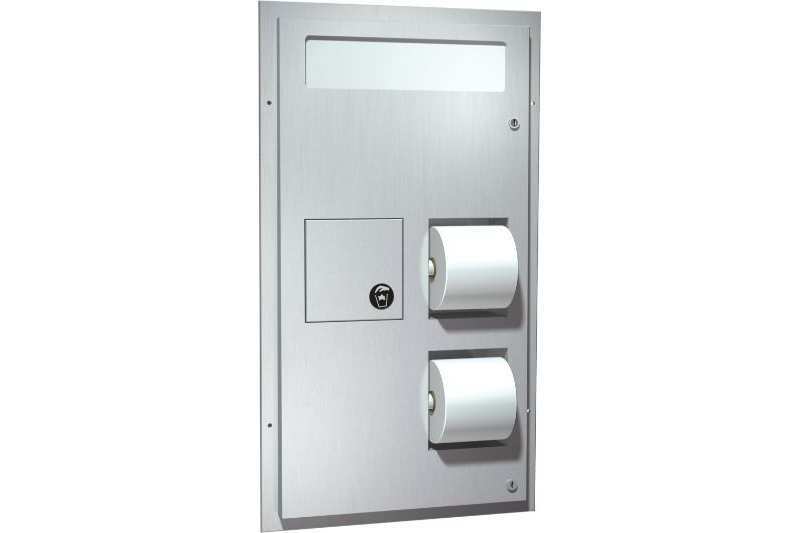 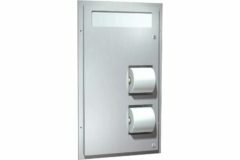 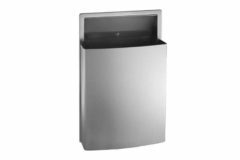 Surface Mounted Toilet Paper Holder unit shall hold and dispense one roll of standard core roll tissue up to 5-1/2″ diameter. 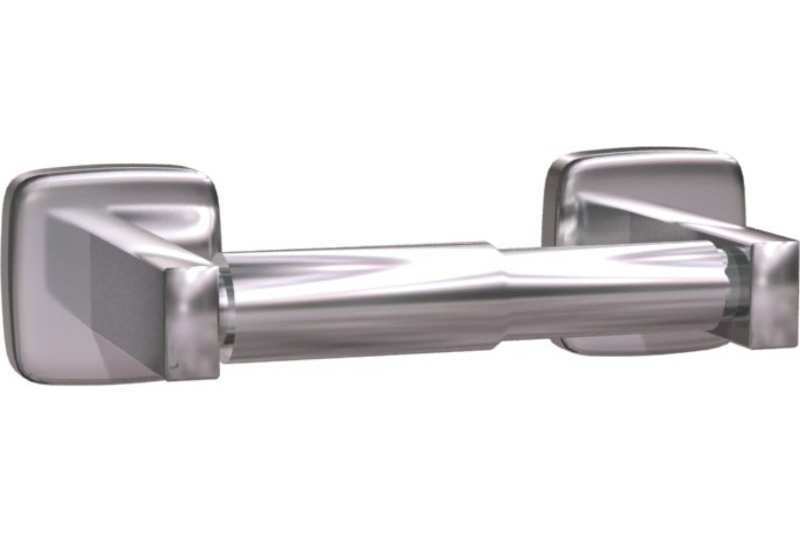 Unit shall be fabricated of stainless steel alloy 18-8, type 304. 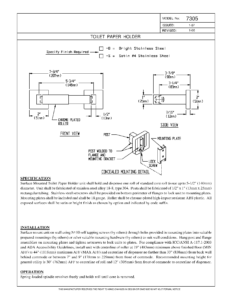 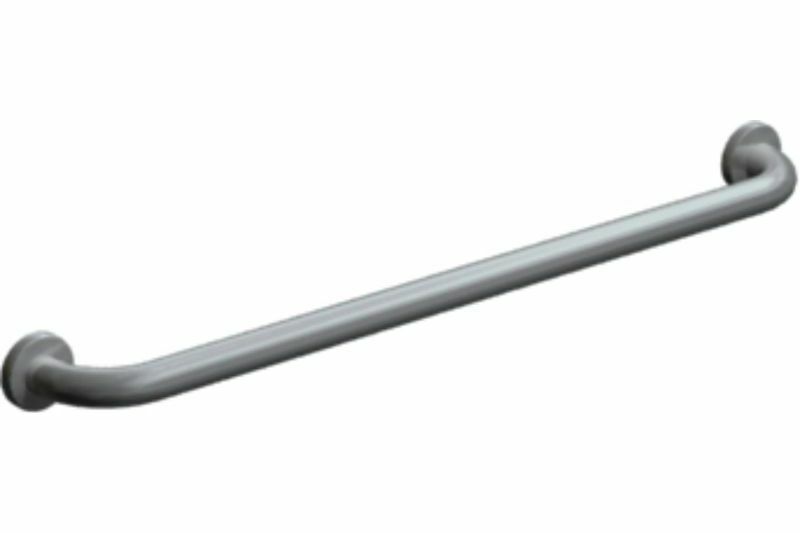 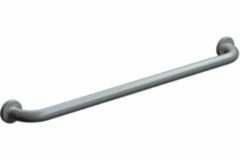 Posts shall be fabricated of 1/2″ x 1″ rectangular tubing. 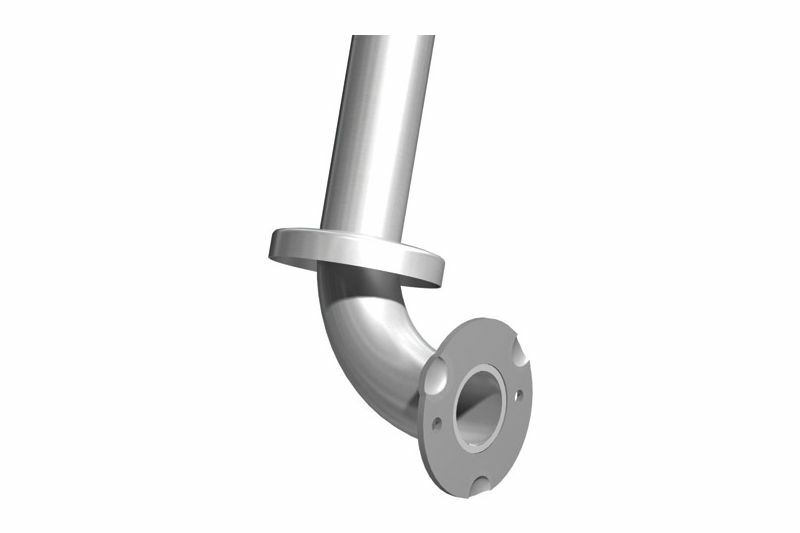 Stainless steel setscrews shall be provided on bottom perimeter of flanges to lock unit to mounting plates. 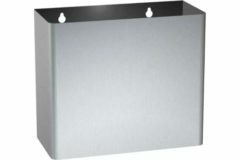 Mounting plates shall be included and shall be 18 gauge. 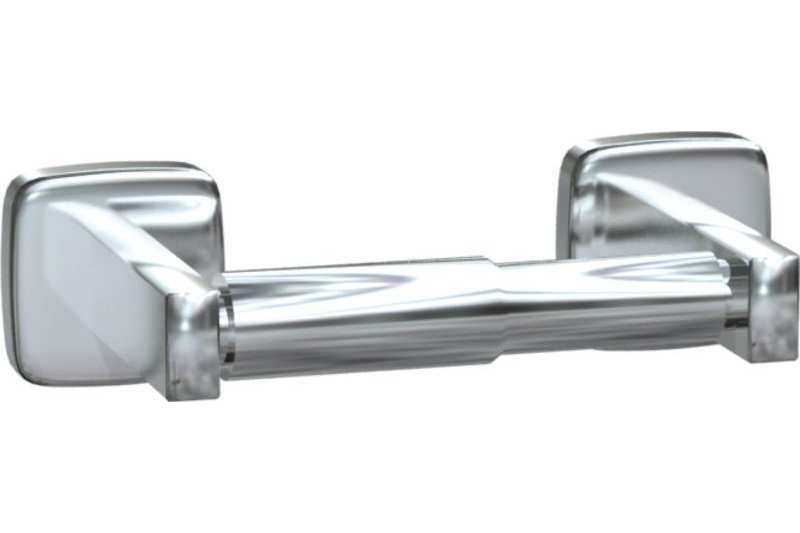 Roller shall be chrome-plated high impact resistant ABS plastic. 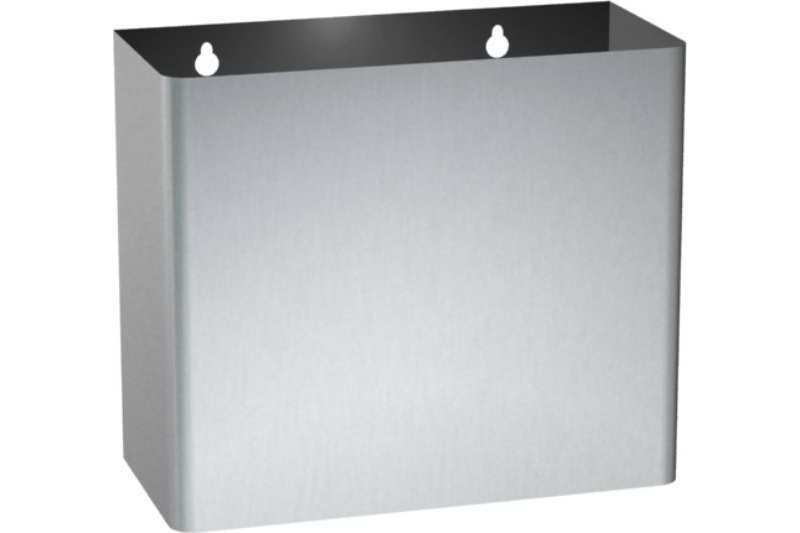 All exposed surfaces shall be satin or bright finish as chosen by option and indicated by code suffix.